Maximo: Ghosts to Glory (2002) is an interesting soundtrack. The album consists almost entirely of remixes and arrangements of the original Ghosts ‘n Goblins main theme. So there’s a graveyard version, a sea shanty version, horror versions, etc, culminating in a jazzy arrange for the “Ending Credits“. They aren’t explicit but more subtly done using a few bars here and there. This actually gets a little old, however – while it is fun to listen to the original theme, too much of basically the same thing gets old rather quick. It’s an interesting experiment, and a style that I think was used in some of Tallarico’s other games such as Pac-Man World Ralley, which I saw him discuss at GDC this year. Anyway, I picked one of my favorite arranges. Oh yeah, Maximo was also the first game I played on PS2! (Though I got the system when Contra: Shattered Soldiers was release :P). This arrange is a pretty epic piece with lots of drums, strings, and trumpets. It is the final area of the game and so requires a little extra oomph to reflect not only the fact that we are getting closer to the end but that we are also back where the story started – Maximo’s castle was stolen from him by an evil wizard who murdered him and he has now come to reclaim what is rightfully his. Anyway, a pretty fun piece. 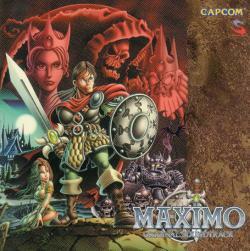 Maximo was composed by Tommy Tallarico (Earthworm Jim CD, Advent Rising), Todd Dennis (MDK, Advent Rising), Shane Kneip (Medal of Honor: European Assault, Jak & Daxter: The Lost Frontier) and Chris Rickwood (Ghostbusters, Evil Dead). Now if you purchased a first print of the soundtrack, you would have also gotten a soundtrack to the 1988 Dai Makaimura (Ghouls n Ghosts), which makes for a nice soundtrack collection. Ok, so what’s one of the coolest soundtracks from the early 90s? That would be Earthworm Jim (1994). 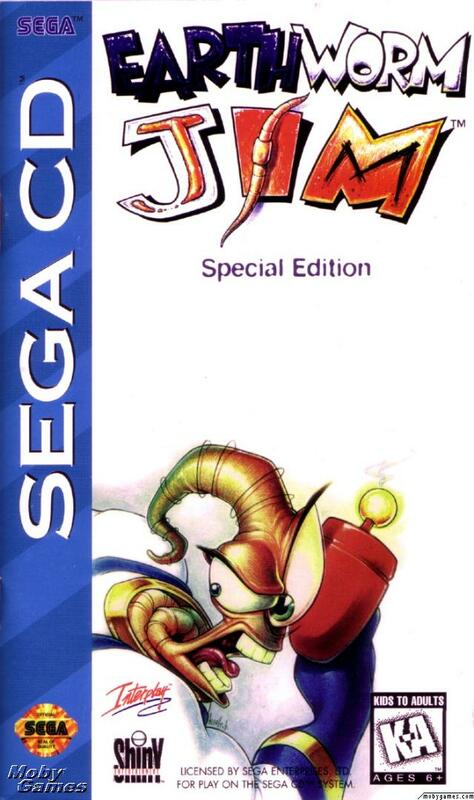 Now, the original was composed by Mark Miller (ToeJam and Earl, Dark Side of the Moon), but Tommy Tallarico gets credit for arranging the soundtrack (and picking up the reins for the series) with Earthworm Jim: Special Edition on the Sega CD and PC. Earthworm Jim is one of the neatest characters ever put in a game – he’s a giant earthworm inside a super suit, and he fires a giant laser pistol that shoots about a bajillion rounds a minute (I am not making that up). The game had AMAZING animation as well as good gameplay and a great soundtrack. Anyway, you can buy a soundtrack compilation of a whole anthology of Earthworm Jim music from Video Games Live for $15. There’s some pretty zany stuff on there, but also a few good pieces like “Junkit” and “Subterranean”, but the Special Edition version of “What the Heck” was far better. The Sega CD version sells for about $50, which is completely nuts, but thankfully you can just play it on a Sega CD emulator instead of shelling out another $150 to play it on the actual hardware (or just buy the PC version for about $10 used). Umm yeah, you can also buy action figures. The theme is quite earthy, which is kind of what you’d expect from a junkyard – all that low, grungy bass. But the theme also wants to climb to the heights with a wide range of notes played on flute and trumpet (which makes sense, as this level has a LOT of climbing as well as upward and downward movement!). The beat is groovy and the high quality synths add quite a bit. Oh yeah, and you of course have to love that guitar! This really is vgm at its best – great action music to game to (and sounds great on the stereo!). In contrast, the original Genesis version has a pretty cool gritty feel. There’s a good drum track here (just check those high hats at 1:29!) that works well with the low bass line while the flute and lead synth are both high quality. And what’s up with that weird vortex sound in the intro!? See, you can really create some good stuff with the Genesis given good synth libraries. Honestly, this sounds like something you could find on the Amiga. While ultimately not as good as the arrange, overall, some of the better music on the system and a cool piece. Oh yeah, another cool thing is the special ending music. Beat the game on super hard mode, and you’ll get this special message from Tommy Tallarico. 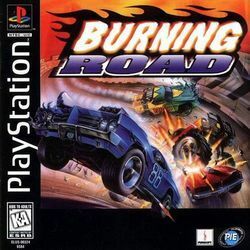 Here’s another obscure game Burning Road (1996), a racer for the PS1. 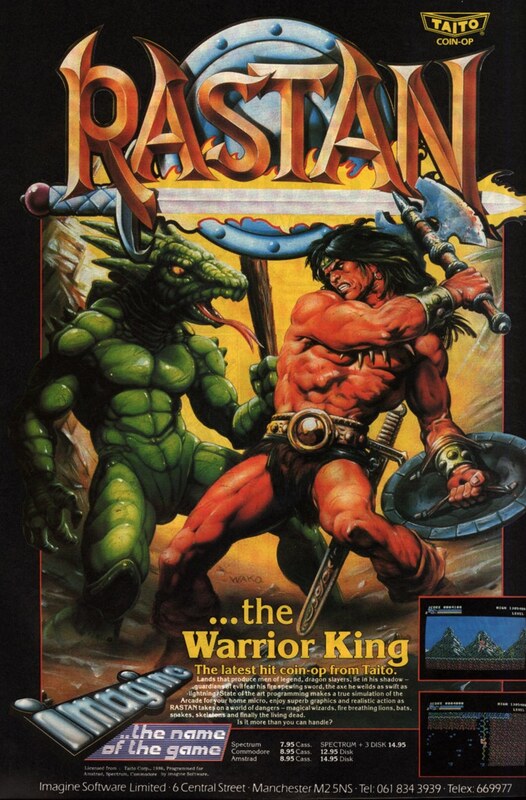 The game was developed in France by Toka, but received a musical facelift when it was released in the US with a soundtrack remixed by Tommy Tallarico (the guitar sounds similar to The Terminator (1993) for Sega CD as well). I heard about this one on Lost VGM, a pretty cool blog that launched back in March. Rimo, the webmaster, has been posting three albums each week from obscure games and out of print albums with great soundtracks. It’s definitely worth checking out! He’s got a few albums on here I had already put in the pipes. Burning Road‘s soundtrack is pretty standard rock fare, though the original tracks certainly have a European feel through the synth lines. Tommy Tallarico strips most of that away for some good old American guitar – just the sort of thing that fits well with muscle cars and exotic racetracks. An easy melody with for the most part low range in scale exerts confidence and balance, perfect for the easy-riding beginner courses. The original version supplemented the guitar with synth instruments, so it’s a little more dynamic (dare I say, European?) in that regard. However, I could do without the singing of “Burning Road” which I feel is a little redundant – shouldn’t I already know I’m playing Burning Road? It’s not like the road just caught on fire or anything… Sadly, most of the European tracks have this voice over. The TOKA composers were Michel Golgevit and Olivier Rabat (Far Cry 2, Assassin’s Creed II). The two worked together on Prince of Persia – The Two Thrones and Far Cry: Instincts – Predator, among other titles. Both are top composers at Ubisoft, so both names worth knowing! I’m going to go on a whim and say that this track is probably my favorite piece Tommy Tallarico has composed. That’s saying quite a bit as it goes all the way back to 1993 on the Sega CD version of The Terminator. It’s got some grungy early 90s synths and recording, but the guitars here are fantastic and the composition is so deeply layered and following the style of the original score that it’s simply unstoppable. “Destinationz Unknown” plays in the factory stage, before Kyle Reese jumps into the time portal. It’s got the Arnold robots and smashing machines, just the kind of thing you would expect to see in Terminator land (though not as awesomely done as in Terminator 4). The combination of guitars in minor key, drums, and piano makes this feel right at home with Brad Fiedel’s original score (the game has a rendition of the theme song). This is dark, brooding metal, and it fits nicely with the theme of robot apocalypse and the danger of technology racing ahead of mankind (which is also ironic as some o the music is played using a machine). The music box ending is a wonderful surreal touch and totally flipped my mind the first time I heard it. The great audio is due to the fact that the guitars are live recorded, one of the first times this had been done in a videogame (Tallarico suggests the first time, but I think some Japanese composers beat him to it on the Turbo CD) and was made possible thanks to CDs and Redbook audio. The entire composition group of The Terminator consisted of Tommy Tallarico, Bijan Shaheer, Joey Kuras and TeknoMan, with Tallarico being credited for this piece on Tommy Tallarico Virgin Greatest Hits Volume One (1994), Read the rest of this entry ?